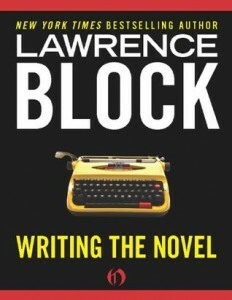 Writing the Novel: From Plot to Print, Lawrence Block, Open Road Media, 2010 (c1979), 218pp. I finished my first novel in 2001 and shopped it around, always thinking I would start a second one. In fact, I had several ideas floating around in my notebook and various computer files. But a combination of things prevented me from ever starting on it, including that mental depression facing the completion of that first one. As Block says, you start to think, “If that one’s not good enough for publication, what makes me think my next will be?” But every book is different, the market changes, your writing is likely better for having written and experienced more in the meantime. Over ten years later, I’m revising that first book for possible eBook publication (i.e., market changes, where self-publishing has become a viable option, both logistically and monetarily) and I’m reviewing that set of notes and contemplating the second. I don’t necessarily do the outlines that Block suggests that some writers do, but my own process requires that I have an idea of the theme of the book I’m writing. For me, writing needs to be a game I play with myself (an idea I first saw codified in Jane Smiley’s 13 Ways of Looking at a Novel). In my first novel, the theme was evolution and the game was to incorporate as many references and imagery of development that I could, mainly centering around the concept of eggs. While I don’t shy away from reading fiction while writing my own, I do find reading books on writing stimulating for getting my own writing process going, as it focuses me on consciously thinking about choices covered by Block here like point of view and how the book actually begins. As Block suggests (although not in his own words): your mileage may vary. But this is a good overview of some of the driving options available to you.